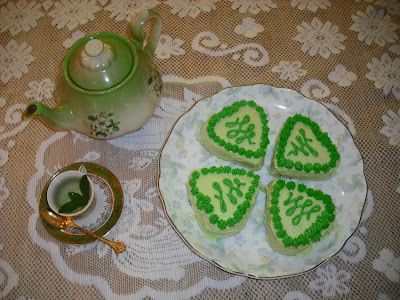 I made these clover leaves because I thought they'd make good presents for people. As corny as it sounds, I like the idea of giving these to close acquaintances that you are "peas in a pod" with. Individually people are wonderful/creative/happy but together friends can share things and appreciate everyones achievements. Don't laugh. I'm being serious here! If you look up Saint Patrick's Day you'll see it's a festival celebrating the Saint's death. 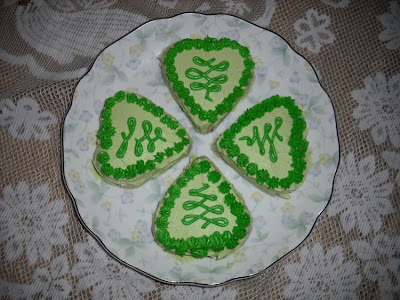 I know that the shamrock has three leaves but four fits better on the plate ^_^. I'm a graphic designer who likes symmetry---I can't help myself. So technically I can't call it a shamrock because the tri formation is a representation of the trinity. This is why I've titled this post under "clover". So, onto it! 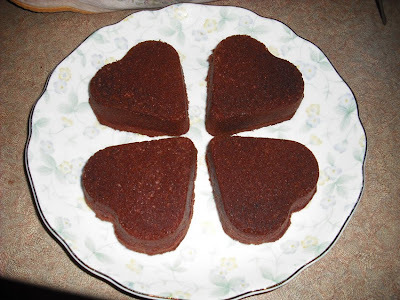 This is a chocolate cake recipe from The Edmonds Cook Book. I'll put a reference at bottom of post. It's an awesome cook book. 1. Pre-heat oven to 180 Celsius. Get your ingredients ready and measured. 2. 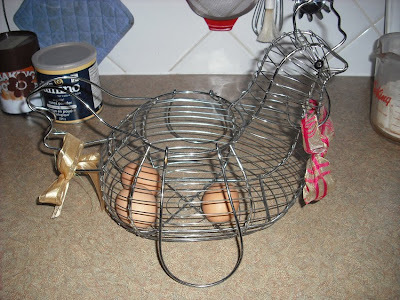 Firstly prepare the tins or cup cake wrappers. 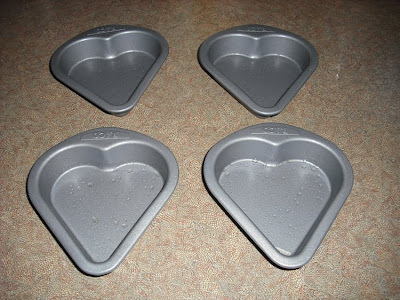 I'm using these miniature heart tins I bought recently. They're non-stick coated so they're a dream to use. 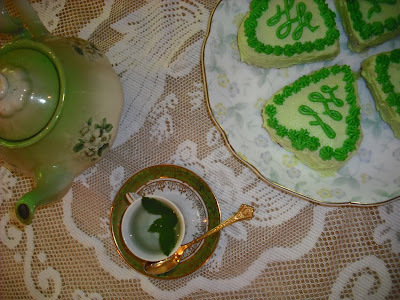 Don't be worried that the St. Patrick's idea won't work because you don't have something---they look just as charming as regular muffins or the likes. Use your creativity and make an idea "yours". NOTE: even if your tins are non-stick I advise to spray oil on the surfaces just in case. 3. 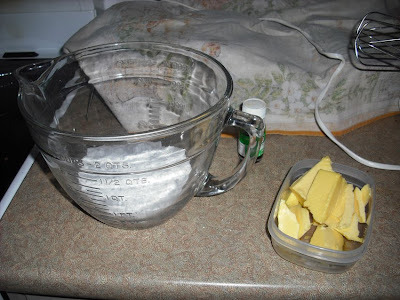 Put butter, vanilla essence and sugar in bowl and beat until light and fluffy. Below is a picture of what it should look like. 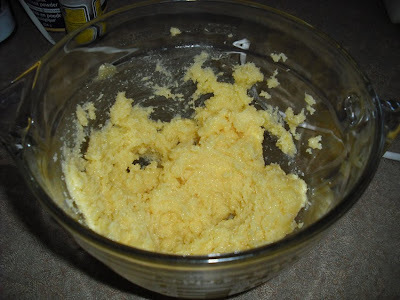 I melted my butter slightly and used an electric beater to combine everything. 4. 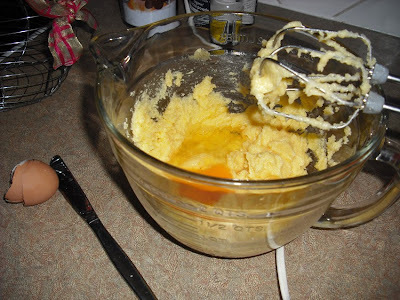 One by one, add the eggs making sure to mix after each addition. 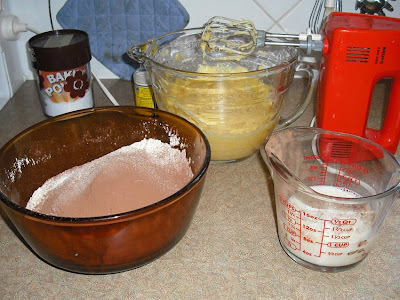 I used short bursts of the beater as I didn't want to over beat my mixture. 5. 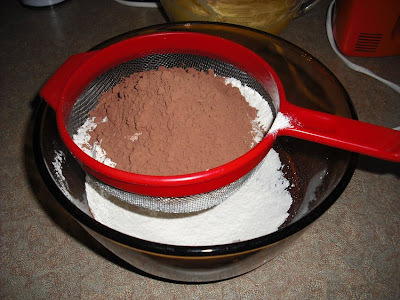 Combine your flour, cocoa and baking powder in a bowl. Make sure to sift to remove any lumps. 6. 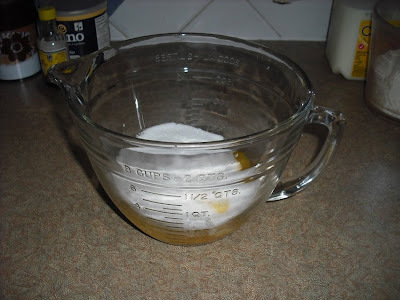 Now, slowly put this into your creamed sugar/butter alternating with the milk so it doesn't clump up. 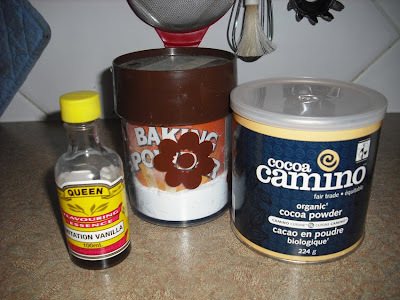 Be sure that the baking powder is in the mixture; my first batch failed because I forgot. 7. 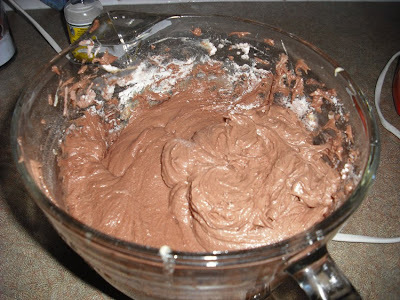 This is what the mixture should look like. Be careful not to get carried away with beating. The more mixing the tougher the product is. 8. Put into tins. I had a lot of mixture left so I made muffins as well. 9. Okay, so now put in the oven for 30 minutes. Keep an eye on it though because your oven or mixture could be different to mine. If you are unsure, gently press a finger on the cake-let. If it springs back up then use a skewer and poke center of cake. It should come out clean. 10. 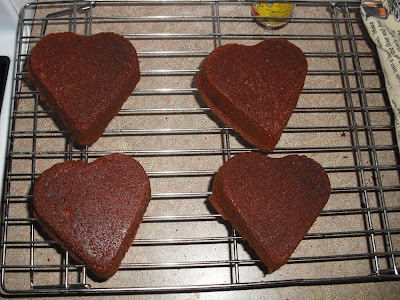 Let the cakes rest for a minute or two before removing tins. Hopefully the steam will have helped separate the two. 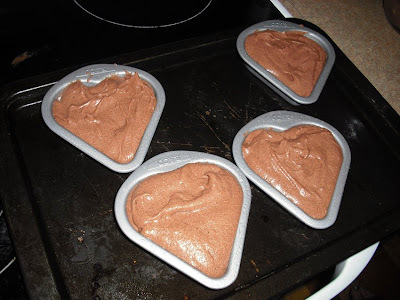 When removed, let the cakes stand until cold. When they are, cut off any extra cake that distorts the shape. I over filled my tins (a lot) so I had to cut off the excess. NOTE: You can only ice cakes when completely cold or your icing will melt. 11. I didn't measure this, I just made a guess and tossed everything together. Pretty much all you need is icing sugar and butter. Combine these with the beater. It should be smooth and soft but still hold its shape if left alone. 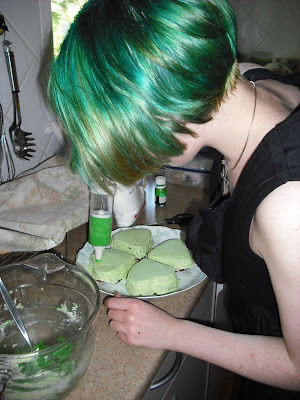 Add some food colouring. 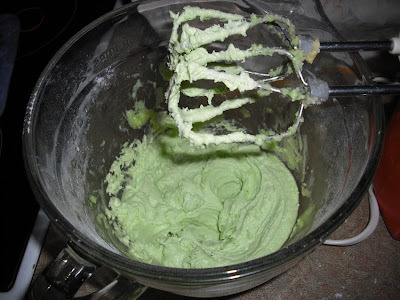 I only used a small amount of green to tint the mixture. 12. Put cakes on a pretty plate. This was from a Japanese friend and I absolutely adore the subtle elegance. Put a little icing on the bottom of each cake and place down. This acts like glue and keeps everything in a general position. 12. 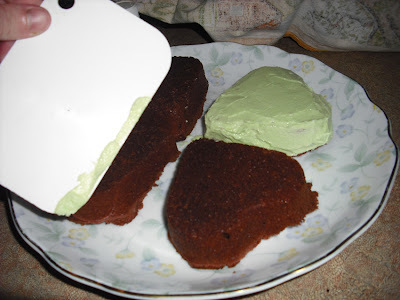 When Icing, you can use a plastic tool (like the one above) but a knife is just as good -- if not better! Keep a cup of hot water beside you to dip your knife in (wipe dry before using) as this will soften your icing and help get a smoother surface. 13. I made a second batch of icing, this time a little darker and used a piping syringe to add decoration. I love love love to decorate! 14. Voila! Finished result! Refreshing clover petals for your friends and family. These were scoffed in a matter of hours so needless to say, they will be popular. I hope whoever reads this, gives something handmade a go for Saint Paddy's Day. This is a time when you're supposed to be with family and friends. Don't forget to wear green! Reference: Bluebird Foods Ltd, . (1998). The Edmonds cookery book. Hong Kong: Bookprint Consultants Ltd.